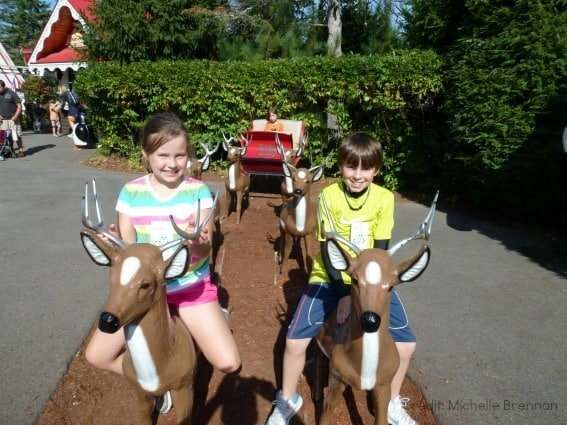 Who says pint-sized kiddos can’t have fun at amusement parks? Some parks are entirely dedicated to the younger set, while others offer specific areas for the little tikes. 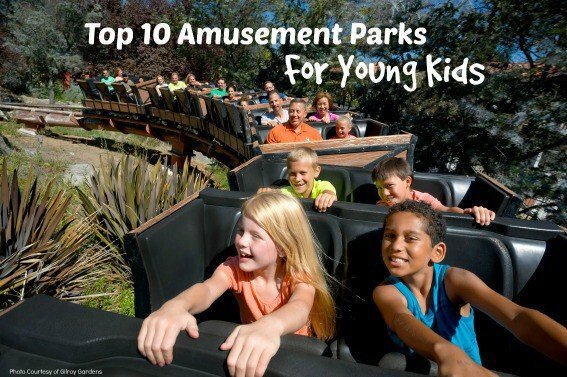 Team Trekaroo sifted through the theme parks and fun lands across the U.S. for younger kids and found the top ten amusement parks worthy of your attention. While these amusement parks may deliver a tamer experience for youngsters, they still offers loads of fun for the entire family. Characters from the famous Dr. Seuss books come to life at Seussland, the colorful and whimsical land at Islands of Adventure devoted to the favorite children’s author. Chug around on The High in the Sky Seuss Trolley Train Ride for a magnificent aerial view of the park or hang out with the wacky Seuss characters on the Caro-Seuss-el. What an incredibly fun place for the young ones! Tips from real parents: Karyn Locke, our Mid-America Guroo, suggests getting there early for the super popular High in the Sky Seuss Trolley Train Ride if you don’t want a lengthy ride queue to stand in. First time to Universal Studios? 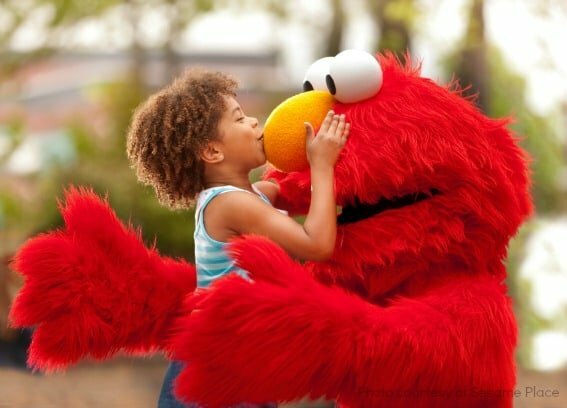 Read this Guide to Universal with Kids. 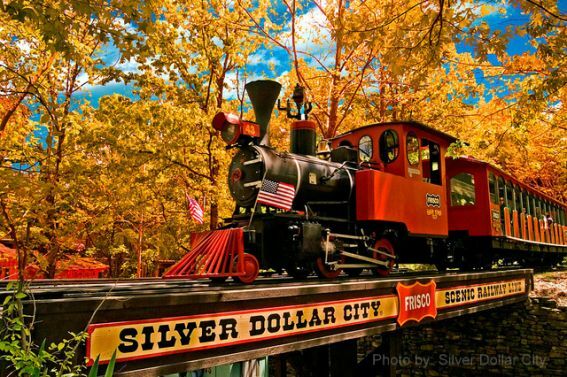 Silver Dollar City is overflowing with Ozark charm. 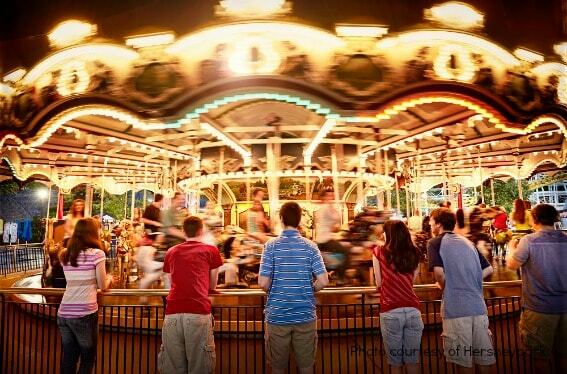 Located in Branson, this park’s theme takes guests back to the 1880s with incredible craft artisans creating everything from wooden baseball bats to blown glass ornaments, down-home eats (we highly recommend the succotash), and rides for the whole family. Fireman’s Landing, the park’s newest area which opened this year, features six new rides and four interactive play areas. Tips from real parents: The park is heavily shaded with native trees which will provide welcome relief from the summer heat. Be sure to make time to see the talented craftspeople at work. They are the true treasures of Silver Dollar City. Cedar Point may be dubbed the roller coaster capital of the world, but parents will be happy to hear that this highly rated amusement park offers plenty of fun for those youngins not ready for mega thrills. In fact, there are four areas in the park catering to the little ones. 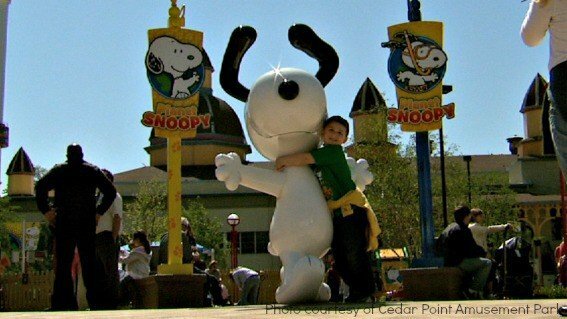 Among them is Camp Snoopy, the place to visit for younger kids! Kids can pretend to be the Red Baron and fly in old-fashion bi-winged planes or jump in kiddie-sized bumper cars and try their luck at dodging other drivers. In addition to rides, the park also offers amenities such as air-conditioned family care centers, with private nursing rooms and a kitchenette. Can’t get enough of Snoopy and the Peanuts gang? Find him and his friends at Kings Island in Ohio. Who wouldn’t want to see Santa year round? For over sixty years, the family owned amusement park has been creating memories for families with fun Christmas-themed rides, shows, and a newer waterpark. Chug along on Santa’s Express Train or take a mini-coaster ride on the Skyway Sleigh. Whatever you do, don’t forget to bring Christmas hats or cute Christmas sweaters for Christmas Card worthy photo ops! Head down the street to visit Storyland New Hampshire, another fun amusement park catering to young kids. Love chocolate? Follow the smell of chocolate to the sweetest place on earth, Hersheypark, where kids can enjoy 20 kiddie rides like the Cocoa Cruiser and Music Express. What’s great about this park is that the whole family can have fun since many of the rides are designed for all ages to ride together. Also, since Hersheypark has kiddie rides scattered throughout the park, older children craving more of an adventure won’t have to look very far for their next ride. Admission also includes entry to ZooAmerica North American Wildlife Park, an 11‐acre, walk‐through zoo that cares for more than 200 animals representing more than 60 species. Tips from real parents: Our Pennsylvania Guroo Sharon Rigney, suggests visiting the free chocolate museum partway through your day to take advantage of the air conditioning and for a chance to sit and relax for a bit. Don’t be tempted by buying chocolate at the gift shop until you’re ready to leave, or risk having your chocolate melt. Staying in one of Hershey’s affiliated hotels like The Hotel Hershey and Hershey Lodge offer perks like free shuttles to the park and extra ride times. There’s also a ‘kids stay and eat free’ package, so look into those properties if you’re planning on staying. Part theme park, part botanical garden, the Gilroy Gardens located in Northern California, is a theme park unlike any other. Where else can you ride in an artichoke or spin around in a garlic? In addition to these unique rides, take a step back and admire the beauty that surrounds you in the form of gardens and twisty trees. In fact, the original owner was a botanist who trained trees to grow in all sorts of very cool shapes. Tips from real parents: Kristine Dworkin, our Northern California Guroo, suggests taking precautions if you have issues with pollen. (It is a horticultural theme park, after all.) Gilroy can get very hot in the summer time – we’re talking upper 90’s on a regular basis. 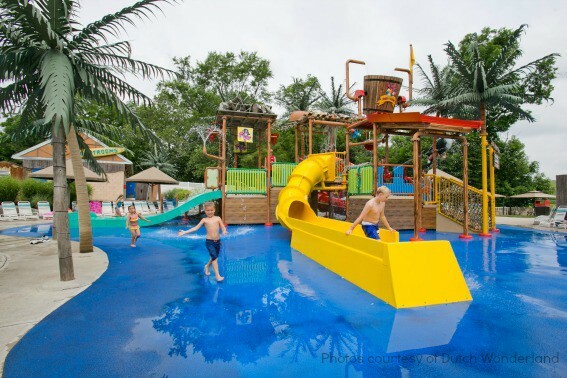 Bring a change of dry clothes and cool off in the water play area. Even if you decide not to partake in the water play, bring sun hats and sunscreen. Outside food is not allowed in the park, but there are picnic tables outside the gate if you want to pack in a lunch and fuel up before enjoying the park. See what else you can do in Pennsylvania with the family. Nestled near the heart of the Pennsylvania Dutch Country, Dutch Wonderland prides itself on being a “kingdom for kids.” With live entertainment, more than 30 kiddie and family rides, including trains and mini-coasters, plus a splash-tastic water park, the entire family will have loads of fun. Have a dino lover in the family? Your little dino lover will have a roaring good time at Exploration Island, a rediscovered island full of lifelike dinosaurs, where kids can dig for fossils at the interactive Dino Dig, walk along the Prehistoric Path, or embark on the Gondola Cruise. Tips from real parents: Our Florida Guroo, Marisa Langford, shares her tips: Bring a stroller and be prepared to walk. The park is huge!!! Lots to see and do so try to plan your day based on what your children’s ages are. Double check your kid’s age and height and plan your rides accordingly. Bring Mini Figures to trade. The Lego Magazine always has coupons for buy one adult get one kid free so plan ahead. Thinking of planning a LEGO vacation? 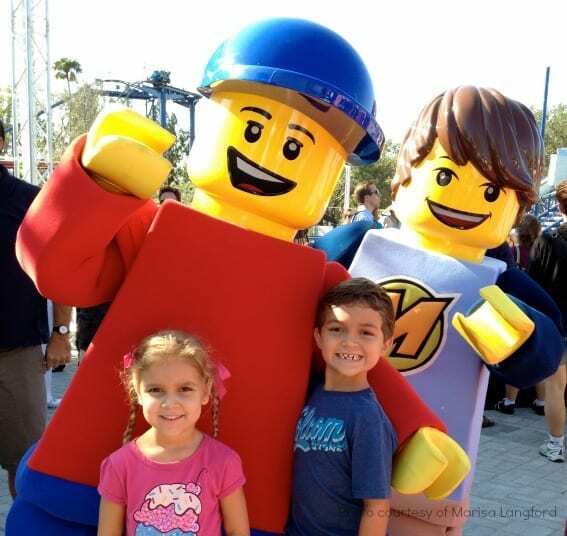 Read up on these sources Florida Legoland and Carlsbad Legoland. 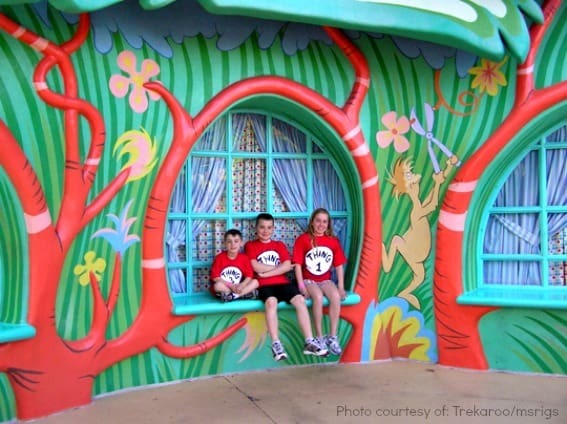 It’s no surprise that Trekaroo loves Disney. They have been making kid-friendly memories for years. 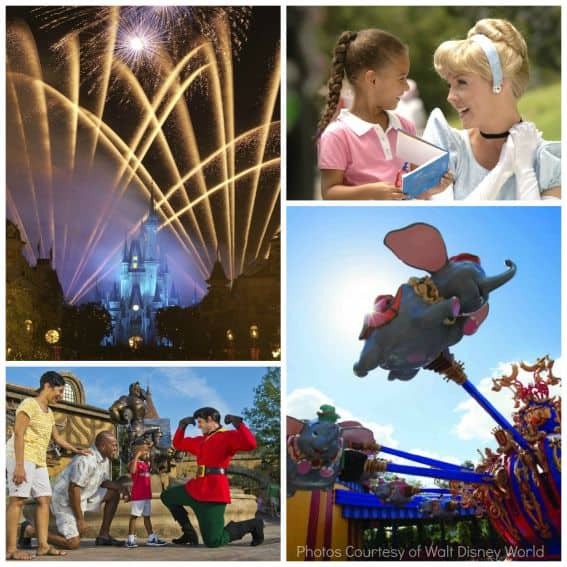 From Fantasyland in Magic Kingdom and Disneyland to the classics like It’s a Small World and the Jungle Cruise, your young (and old) Disney fans will fall in love with the most magical place on earth. Read all about Disneyland and DisneyWorld. Helpful tips from real parents: Planning a Disney trip has never been easier – especially with all the Disneyland and DisneyWorld planners, including first timer tips to Disneyworld. Great list! I love Disney and Santa’s Village as a kid.